Hooray for me, here is my February finish for the Bee, Myself, and I project. It's a sewing machine pad with pockets to keep some of my most used tools right at hand. It was a super quick project and it also gave me the opportunity to try out a new machine binding technique that I learned on the Modern Quilt Studio's YouTube channel (here and here). Can I just say, I'm sold! I don't like hand sewing and have always bound my quilts by machine. This method is just so easy and you only have to sew around the quilt once so it's super fast too. All you need is this cute little tool - a bias tape maker. This project was also one of the items on my Finish Along list for first quarter so double hooray! That is super cute, did you have a pattern or did you just make it up yourself? I always machine bind because I hate hand sewing, I'm going to check out those tutorials, because I love learning new things. You only have to sew around it once? I am off to check out those links! I usually hand sew my bindings, I'll have to check out the tutorial. 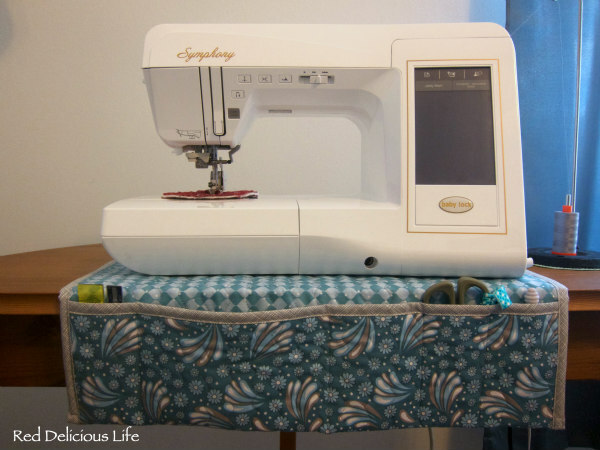 Very cute sewing machine mat! 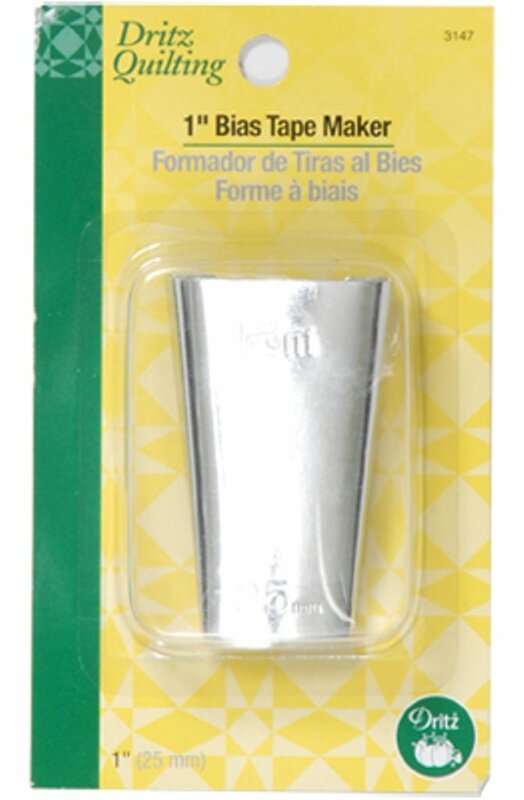 One of those is on my list, hopefully that will make me stop losing my seam rippers all of the time. Fab finish! That will be so handy! Thank you for participating in the FAL, on behalf of the 2016 global FAL hosts.